According to a recent news feature from the News-Press, a 50-year-old woman in Naples, Florida was arrested last April on charges of suspected drunk driving. In that incident, police were called to the scene of serious car accident when the driver allegedly crashed her BMW into a Ford Mustang that was stopped at a red traffic signal. There was so much damage to her car that it was a total loss. Fortunately, nobody was injured in that serious drunk driving accident. When police went to question the driver, they saw that woman was wearing a bikini and appeared to be heavily intoxicated. Police administered a series of standardized field sobriety tests (SFTS), and she allegedly failed all of the tests. She said that she was not drunk and could not stand on one foot “even on a good day.” Following the administration of field sobriety tests and general questioning, they asked her to take a roadside breath test (RBT), and she allegedly refused to provide a sample. At this point, she was placed under arrest for suspicion of drunk driving. Her 10-year-old grandson was in the car at the time of the accident and can be seen in a police video giving his grandmother a hug before she is placed in the back of police transport vehicle. While it has not been reported if she was convicted or placed into some type of pretrial diversion for her drunk driving charges, she was placed on a period of probation, and, as one condition of her probation, she was ordered not to consume any alcohol for a period of one year. While it is technically legal for a person over the age of 21 to consume alcohol, a judge has the power to prohibit a person from drinking as a condition of parole or probation. The reason for this is because probation or parole is essentially a contract. The defendant agrees to abide by a series of conditions to avoid going to jail or to be released from a state prison early. 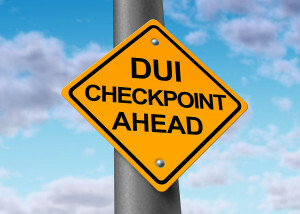 For example, if a defendant was convicted in a serious drunk driving car accident in Boston, a judge could require defendant not to operate a motor vehicle after consuming any alcohol, or even not to drink at all. The defendant does not have to agree to these terms, but if he or she does not agree, the choice is to sit in jail or prison. In the case of the “bikini grandma” as she is being called in the media, she was just arrested for drunk driving while she was on probation. This time, police did administer a breath test at the scene of the traffic stop, and she allegedly blew a .177. This is more than twice the legal limit of .08 grams of ethanol per 100 milliliters of blood. She was giving a breath test at the station house, where she allegedly blew a .120, which is still significantly above the legal limit. She is currently being held in jail without bail, since she is alleged to have violated the terms of her probation. In these cases, the probation department will typically submit an alleged violation report, and the judge will be asked to revoke her parole and impose any suspended jail time. It should be noted that she has not been found guilty of drunk driving in connection with this second arrest and is presumed innocent unless and until she is convicted in a court of law.